A two-year study into the death of bee colonies has acknowledged neonicotinoid, the controversial pesticide, as a harm to bees, but say more science data is needed before making any policies on it. A two-year study into the death of bee colonies has acknowledged neonicotinoids, the controversial pesticides, as harmful to bees, but says more scientific data is needed before making any policies in response. The report released by the Senate's agriculture and forestry committee Wednesday, entitled "The Importance of Bee Health to Sustainable Food Production in Canada," points to a number of "stressors" causing harm to bee colonies, including neonicotinoids. Many bee researchers attribute large-scale bee deaths to the pesticides. The report is careful in its wording, saying these stressors may contribute to the high mortality rates. Other stressors listed in the report include weather, climate change and the transportation of bees. The new report called for Canada's Pest Management Regulatory Agency to swiftly conclude its re-evaluation of neonicotinoid pesticides. Neonicotinoids have been approved for use in Canada for 10 years, but the PMRA is in the process of re-examining their use. In Canada, the pesticides are used in coated seeds in the cultivation of more 50 different fruits and vegetables. Senator Percy Mockler, the chair of Senate's agriculture committee, stressed waiting for the findings of the PMRA's evaluations before making a decision on the pesticide. He says similar evaluations are being carried out in the United States and in Europe. "I think it very important that we establish policies based on science," he said at a press conference following the report's release Wednesday. The pesticide's possible role in bee deaths has divided farmers, gardeners and scientists. There's agreement that neonicotinoids can be toxic for bees, as the findings of today's report suggest. However, the industry believes it's a stretch to say the pesticide is killing off colonies. The report has been in the works since November, 2013. During that time, senators heard from industry associations, academics and government officials on the plight of bees. 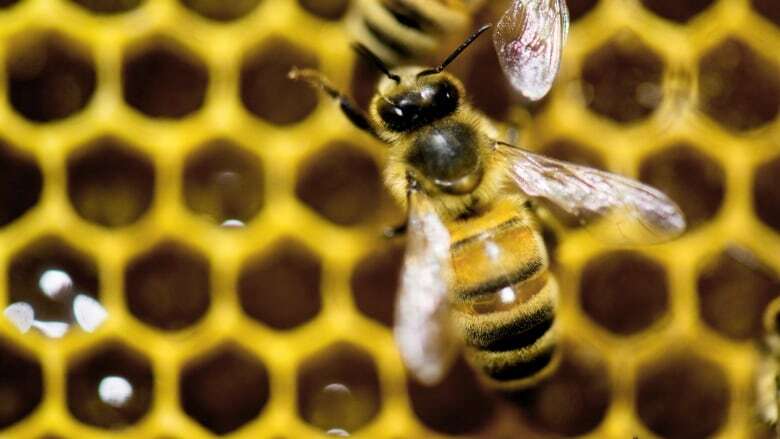 Both Mockler and Senator Claudette Tardif, the agriculture committee's deputy chair, underscored the importance of bees and the "dilemma" they currently face. About one-third of the human diet comes from pollinated plants, the senators said. Bee losses across the country totaled an average of 25 per cent over the winter of 2013-14. The loss was biggest in Ontario that winter, which lost 58 per cent. Allowing the import of "bee packages" used to start colonies from foreign countries, particularly the United States. Monitoring colony health through the creation of a continuous bee health surveillance project. Speeding up creation of a national bee farm-level biosecurity standard for hives. Improving access to new pesticides that are safe to use in beehives. Increasing funding for research into bee health. Minimizing the use of chemical products and ensuring the availability of untreated seeds. The senators said cooperation will be needed amongst the federal government, the provinces and in the industry itself in order to properly implement the recommendations. Jim Coneybeare, first vice president of the Ontario Beekeepers' Association, has issues with the report. 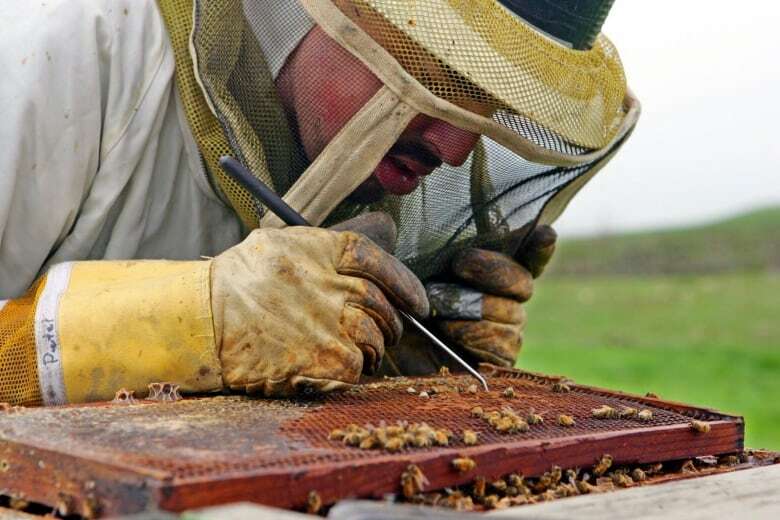 Coneybeare is a third-generation beekeeper and is particularly concerned with the Senate's recommendation to allow the import of "bee packages" from the United States, the one-kilogram packages of bees used to start colonies. He's worried about the spread of Africanized honey bees, which are found in the U.S. and are much more aggressive than bees in Canada. Coneybeare met with the Senate committee last October, but he says the import restrictions weren't even discussed. "In my opinion, they didn't fully consult with industry when they came to that conclusion," he told CBC News Thursday. A member of the Ontario Beekeepers' Association strongly questioned Mockler on the import recommendation during Wednesday's press conference. Mockler spoke about the push from some groups to have the import restriction removed. "Bees have no passports," he replied. Coneybeare says Mockler's response misses the point. "I don't think they have an understanding of the bee industry. I mean making comments like 'bees don't need a passport to fly across the border', things like that. That's true, but a bee's only going to fly a few kilometres and when that does occur we can address the situation."